Just make sure to pick one of the older editions even if they have cut-out marks/drill holes etc. Better that than the Flashback *budget* reissue I -unknowingly- got. At least they didn’t mess with the audio, meaning the dynamics remain as they should be – it’s Loudness War free for sure. Superb Rock ‘n’ Roll! 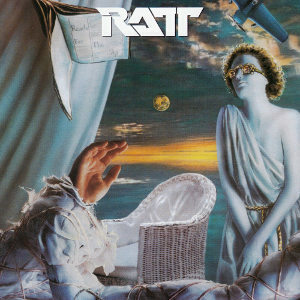 Ratt crack and smile! Ratt ‘n Roll! Thank you. OMG, I had this and “Detonator”- it was on tape huh. I played the crap out of them… ruined ’em! btw, the Megaupload link is unavailable. Is there any way I can get this on iFile.it or some other alternative site? Thanks for the re-up bro, much appreciated. I cannot download it trough MEGA, it says that I have a limited size on my browser. Any chance to replace this somewhere? I did, but regardless of that you need to update your browser. Eu estava procurando por esse CD! I was looking for this CD!